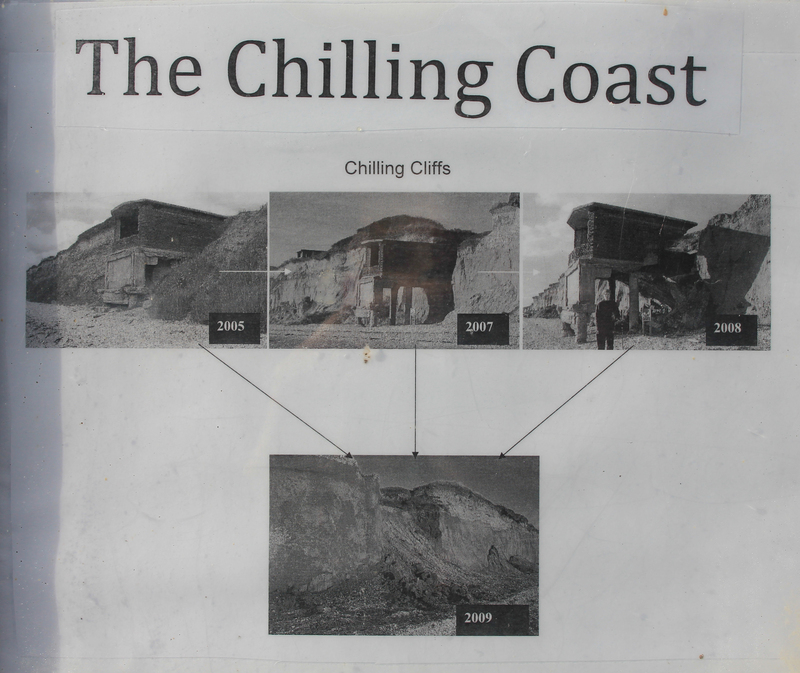 I should add that “The Chilling Coast” was not a macabre title for literary effect. We were actually in a place called Chilling. So for the sake of avoiding 500 metres, we detoured inland by just over a mile. 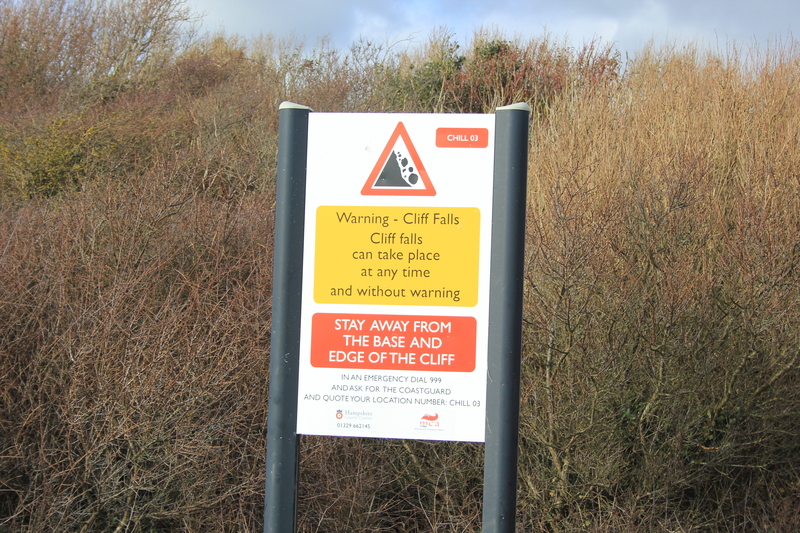 We looked at this sign in utter dismay. We had already walked some 13 miles and time was getting on. We were hoping to catch the ferry from Warsash to Hamble-le-Rice, but the last ferry was at 4pm. We were cutting it fine as it was. Another inland detour would mean we would certainly miss it. We stood and looked at the path; or at least we tried to look at it, because there was no path there to be looked at. This was, I supposed, a product of the December 2013 and January 2014 storms which had flooded so many areas and caused havoc up and down the south coast of the country. As I looked ahead, however, it seemed to me as if the narrow stretch of beach below could be followed. Yes! It could! “Come on!” I said to the others. “Let’s go for it! We don’t have to go inland again and we get the better views if we stick to the coast”. 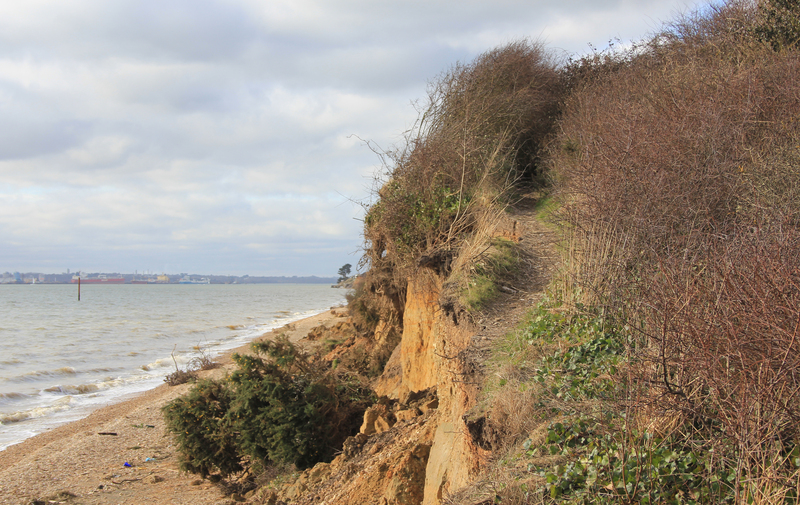 This entry was posted in Hampshire and tagged Chilling, coast, erosion, footpath, Hampshire, travel, walking. Bookmark the permalink. 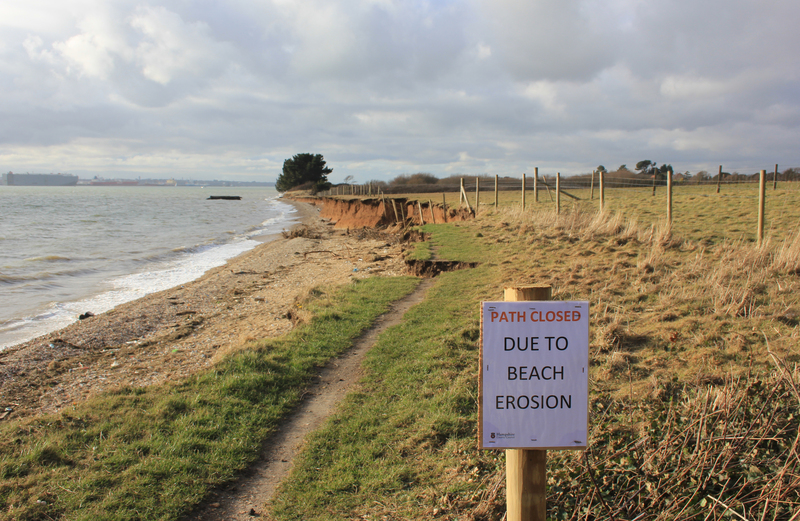 I wouldn’t have let a little bit of erosion stop me either – way to go!